I often spend hours a day listening to podcasts, reading blogs or medical articles and following some super smart people on twitter. Talk about information overload. So once a month I will share the best of the best (in my opinion) of the exciting information or resources I see in the inter-web. I feel kind of responsible for what I pass on, so I have started to weed out a few of the links I originally posted on this website and I try to only pass on stuff that I trust or respect. June's Favorites are all resources. I have been loading up my ipod or blackberry with podcasts and learning while I walk at lunch or drive to work for the last year. This recent podcast discovery is by far my favorite! It is an intelligent, thought provoking and entertaining weekly jolt of inspiration. Love it. 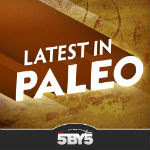 There are tons of new Paleo, Low Carb health blogs introduced every month. The Portuguese blog Dieta Low-Carb e Paleolitica by Dr. Souto has some excellent posts on insulin and body fat. Here is the English version (from Google translate). Twitter is a cool research tool. I only follow low carb or paleo twitterers and of the 140 I follow, the tweets of Alan Watson of dietheartnews.com are by far my favorite. "Whole grains raise blood sugar faster than sugar itself. Fed govt endorsement of whole grains is via Big Food trickery"
"Since '80, obesity surge has been accompanied by surge in physical activity: soccer, running, exercise clubs to no avail"
"1980: Federal govt went low fat & the great surge in obesity & diabetes began. 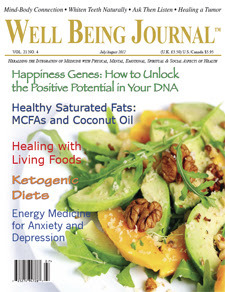 When will low fat's deadly grip loosen?" 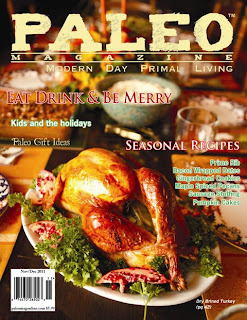 And finally, Going Paleo ruined magazines for me. Between the Conventional Wisdom for loosing weight (which I can't stomach) and the Standard American Diet recipes sold as healthy, the thrill is gone. Then I found these two impressively informative and eye catching mags.